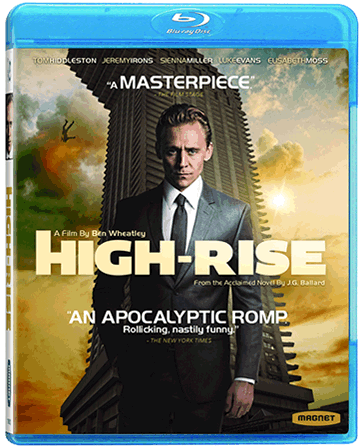 Tom Hiddleston stars as Dr. Robert Laing, the newest resident of a luxurious apartment in a high-tech skyscraper whose lofty location places him amongst society’s upper class. 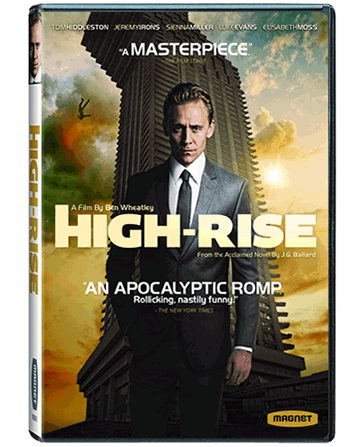 Laing quickly settles in and meets the other tenants: Charlotte (Sienna Miller), a bohemian single mother; Wilder (Luke Evans), a charismatic documentarian who lives with his pregnant wife Helen (Elisabeth Moss); and Mr. Royal (Jeremy Irons), the building’s enigmatic architect. Life seems like paradise to the solitude-seeking Laing. But, as power outages become more frequent and building flaws emerge, mainly on the lower floors, social strata begins to crumble and the building descends into a class war.